Note:Column comes bare metal ready for primer and paint. Fits 1966 to 1977 Ford Broncos with Column Shift Automatic C4 Transmission. Stainless Steel construction. Will NOT accept factory steering wheel. 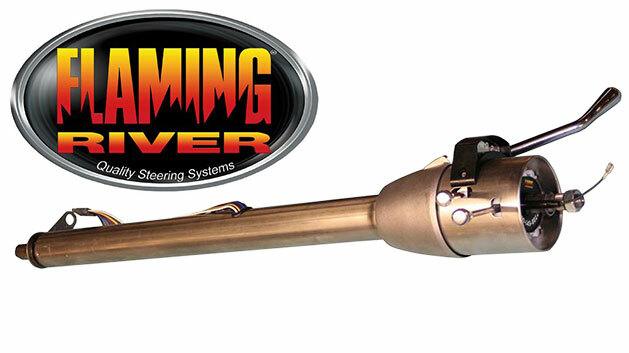 Requires column mounting bracket and custom lower steering shaft. For 1966 to 1973 Broncos will require addition of a horn relay. Turn signal switch wiring adapter is highly recommended for ease of installation. Column boot also recommended but will require clamping down due to the smaller column size (2" vs. 2.25").